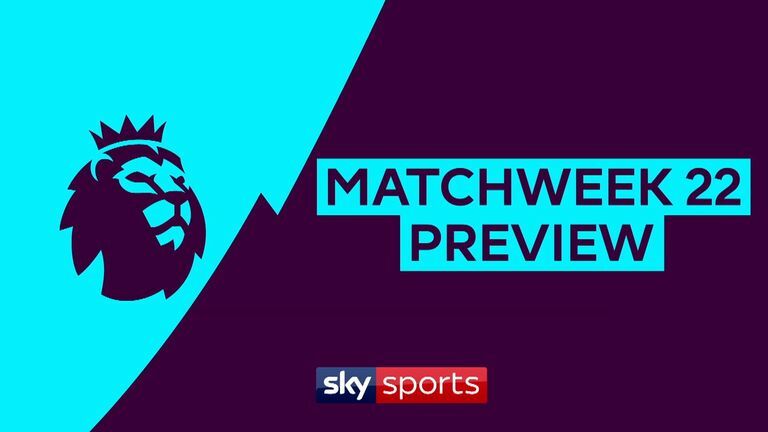 Paul Merson is back with his latest round of Premier League predictions, including West Ham vs Arsenal, Everton vs Bournemouth, Tottenham vs Manchester United and Manchester City vs Wolves. Arsenal struggle to stop goals going in and West Ham's best form of defence is attack. I don't know how Arsenal will cope with the likes of Carroll, Arnautovic and Anderson, but the Gunners are good going forward so it makes for an entertaining game. You just don't know what you're going to get with these two teams. The way these teams have played recently, no result would leave me surprised. Nothing would shock me. The pressure is on Everton, they need to win the game. And with Bournemouth so soft away from home, I think the Toffees will win. If you'd have asked me two weeks ago I would have said United did not have a chance, not a chance. But having watched Spurs at Wembley against Chelsea and Wolves, United have every chance now. Spurs let a half-time lead slip against Wolves, didn't have a shot on target in the second half and lost 3-1. Some put that down to tiredness but I'm not having any of that. Three days later they looked like the Harlem Globetrotters when they ripped Cardiff apart inside 20 minutes - they didn't look knackered then, did they? Spurs have opened the door to United but I think both teams won't be able to live with each other going forward. United are shockingly poor defensively, even the teams they've beaten recently looked like scoring every time they went forward. Sooner or later that catches up with you. I see Ole Gunnar Solskjaer's winning start at United coming to an end but a great result for him at Wembley. Play Sky Sports Six-a-Side for your chance to win £1,000. City struggled at Wolves earlier in the season. Nuno Espirito Santo's side have done great, they've come up and had a real go. They have been an absolute credit to the Premier League. City look back in their groove after following up the win over Liverpool with emphatic cup victories over Rotherham and Burton. Those kind of games are dangerous because you can pick up bad habits in them, habits which a side of Wolves' calibre will punish. City have to be careful, but they should get the job done. This is the biggest game of the season for Liverpool, even bigger than the Manchester City game. They have to win this game, if they draw it will just be a disaster. Going out of the FA Cup was a blessing in disguise. They put all of their eggs in one basket, which they should, but that will count for nothing if they don't win at Brighton. They could have been 10 points clear a week ago, if they fail to win at the Amex and City win, their lead could be down to two points. Psychologically that would be it. They have to win this game or they will not win the league. This is a really hard game for Liverpool, especially what they have been through the last few weeks, but I reckon they will hold their nerve. Fulham have improved under Claudio Ranieri but Burnley have got that Premier League experience, that know-how when it comes to winning matches and I fancy them to continue their upturn in form after a difficult start to the season. Burnley have got back to principles which saw them finish seventh last season. When they do that they are a hard team to beat and play against, that wasn't the case in their first half of the season. Cardiff and Huddersfield will both be looking at this game as one they have to win. Huddersfield are in real danger because they are losing too many games against the teams around them. The Terriers' results have been worse than their performances, though; I've seen games where they shouldn't have lost and ones they dominated but didn't score. With that in mind I'm going to go for a shock here, with a timely change in Huddersfield's luck. I always say Palace will be safe from the drop because they are the only side at the bottom that can get a result against one of the big teams, like they did beating City away from home. The others couldn't do that in a month of Sundays. Watford had a good result in the FA Cup at the weekend, navigating a potential banana skin at Woking. But in the league they are a bag of revels - you never know what you are going to get from Watford - so I fancy Palace to edge this one. You can see Ralph Hasenhuttl has made improvements, sometimes Southampton come up against a team that is too good for them, but that's how it goes. Will Leicester turn up and play? Is there any point? If they finish seventh everybody will moan because they will have to come back in June and play in the Europa League. And then by the time Christmas and the New Year rolls around everyone is tired and they bow out of the FA Cup with a much-changed side. And then, in a strange cycle, it happens all over again. It's extraordinary! Leicester fans aren't going to moan because they had the time of their lives a few seasons ago, but the club cannot bask in that glory for the next 100 years. Claude Puel keeps on resting everybody, he keeps changing things around. Just play your best team! You've got nothing else to play for! Newcastle are right in the relegation mix. They rely on Salomon Rondon too much and they are struggling. I've watched Chelsea enough times this season and they are not ripping teams apart like they did at the start of the season, at times they don't really look like scoring a goal. Chelsea need to score early in the first quarter of the game to avoid a difficult afternoon. I think they will, but I wouldn't be surprised if this ended goalless.